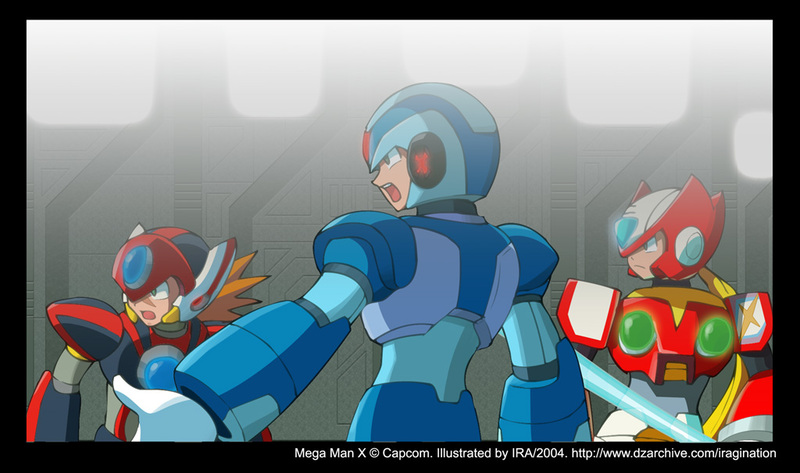 Certaintly one of the aspects that I've enjoyed the most of the recent 3D MMX games is the light management. To get the effect in a 2D tool like Photoshop is kinda tricky, but after a session of test and error, I'm happy with this result, but still it reminds me that I have to go read that book about light physics I bought years ago. Wonderful CGing! It looks like it's a screen cap! You've drawn everyone so on model too. Zero's 'huh?' expression is hilarious. I'd say it looks like official art--even better. IRA, you're one of the best artists out there. Congrats. X: Axl......AXL! !.........What are you staring at?